What do lofts in Houston 77019 zip code mean? It’s simple. 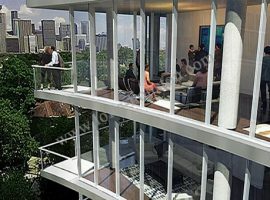 Montrose Houston condos are a great way to combine luxury in your living space with a great location. Montrose represents one of the most eclectic, engaging sections of Houston to be found anywhere. 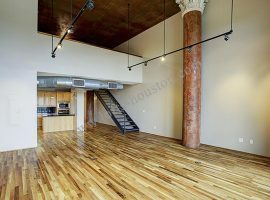 There are tons of unique Montrose lofts for sale, which is to say that if Montrose Houston sounds like a place that’s right for you, there has never been a better time than now to capitalize on that thought. Montrose condos include 1400 California, 3615 Montrose, and others. It is also worth keeping in mind that the area plans to continue expanding on its current offering of Montrose Houston condos. The entire Downtown Houston area in general, as well as surrounding areas, is continuing its economic upswing. That’s good news for the young professionals, married couples, college students, and families who are coming into the area on a regular basis. The demand for lofts in Houston 77019 zip code continues. There is no question that Montrose has undergone a multitude of cultural, social, and economic changes, ever since it was first developed over a century ago. The eclectic nature of Montrose lends itself well to the general opinion that Houston is one of the most diverse cities in Texas, with the Downtown Houston area in particular being a great indication of what Houston has to offer. Although it covers just four square miles, Montrose is packed with bars, restaurants, popular nightspots, parks, museums, historical places of interest, sports, golf courses, fitness centers, and just about everything else you could ever want. If you are planning to visit, and you’re looking for things to do in Montrose Houston, consider the River Oaks Shopping Center, West Alabama, The Menil Collection, and the region known as the Galleria, which is just a few minutes away. Keep in mind that Montrose Houston condos keep you centrally located to such areas as Downtown Houston, the Medical Center, and the Museum District. Essentially, living in lofts in Houston 77019 zip code means you’re going to be in one of the most accessible parts of Houston there is. Let’s talk about Montrose lofts for sale. 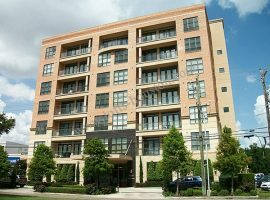 1400 California is a high-luxury residential building that is considered by some to be one of the best Montrose condos for sale in the area. This eight-story midrise has twenty-two units available. This means that when one of these units comes up, you should definitely jump on it, if you’re interested. This is certainly a hot Montrose condo property. Judging from the exterior of the building, which certainly seems to emphasize a Bauhaus Movement kind of vibe, it’s not hard to understand why. A range of floor plans are available, but all of them to one degree or another are going to feature fantastic audio-visual setups, direct-access elevator inclusion, and some of the most breathtaking views to be found anywhere in Montrose Houston or beyond. Within the 2-bedroom floor plans and 3-bedroom plans you can choose from, you will want to note that these units range in size from 2600 square feet to 3300 square feet. Keep in mind as well that 1400 California puts you within easy walking distance of much of the best of what Montrose has to offer. This includes parks, bars, restaurants, nightspots, shops, chain stores, metro stops, and everything else you need to have a decided, definitive urban experience. 3615 Montrose is another exciting example of lofts in Houston 77019 zip code. 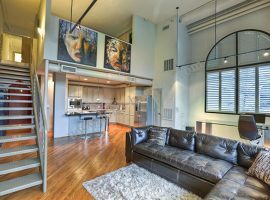 One of the first things you’re going to notice about this example of Montrose Houston condos is the fact that it is one of the most decidedly modern buildings in the area. This giant of glass and concrete offers spectacular views in a variety of places. Beyond that, 3615 Montrose offers controlled building access, electric car charging stations, comprehensive security measures, floor-to-ceiling glass windows, and much more. Four penthouse units are also available. You will also want to note residency features such as ceilings that reach a height of fifteen feet, glass balcony railing, high-quality appliances, walk-in pantries, wide plank hardwood flooring, a variety of natural stone/quartz countertops, and a great deal more than that. 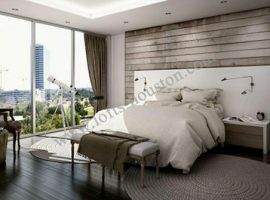 This is an example of Montrose Houston condo living that truly keeps all of its promises of supreme comfort and luxury. 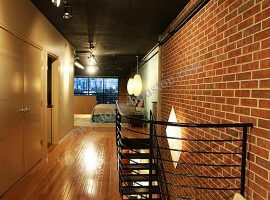 At the end of the day, Montrose lofts for sale are ideal for a wide variety of people. The area is indeed an eclectic mix of businesses and other elements, and that thought certainly holds true for the wide range of people who call Montrose and surrounding areas home. Those who are eager to find a place to live that will provide them with a constant wealth of activity will certainly want to look further into lofts in Houston 77019 zip code. For information on buying, selling or leasing lofts in Houston contact the Realtors at 832.966.6699.